AV for You set up Audio rental equipment for a meeting held by Missouri NEA at the Embassy Suites in St. Paul, MN. For the sound system rental equipment supplied speaker and microphone rental equipment. 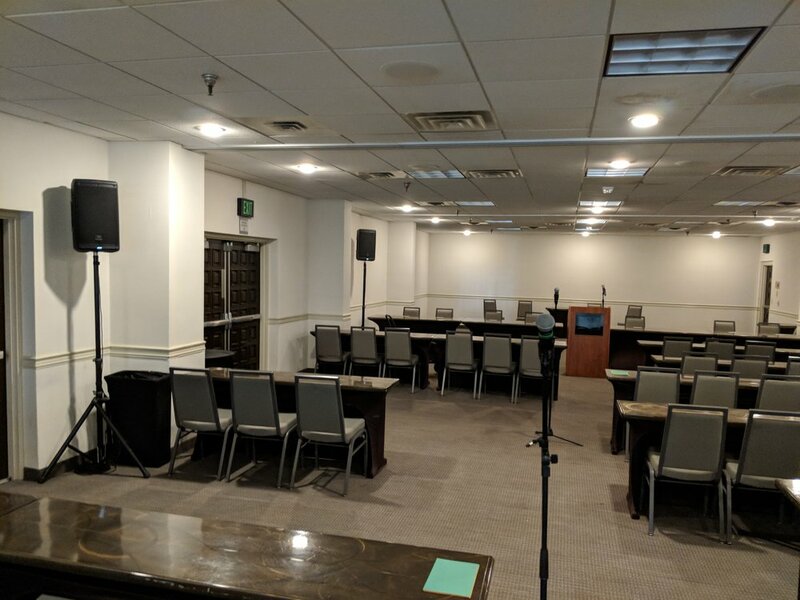 For our speaker rental equipment we used two of our JBL EON 610 Powered Speakers on stands; one in the front of the room and one towards the back to evenly distribute sound throughout the meeting space. For the microphone rental portion we set up three Shure Wireless Handheld Microphones; one was set on a table top stand at the podium and the other two were on microphone stands in the front and back of the room.